We are beginning to receive recipes already! Thank you, thank you, thank you. If you have typed them out, and have e-mail we’d love to have you attach that document to an e-mail and send it to FPHPS@yahoo.com. If they come to us that way we don’t have to retype them. Or bring them to us on a disk or flash drive. HOWEVER if you just want to photocopy them we do have several people who have volunteered to TYPE (We have to type all the old recipes into electronic format anyway. Mix milk, eggs and margarine together. Add salt and pepper. 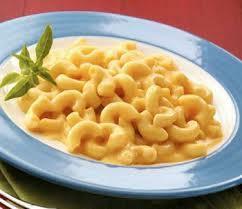 Add macaroni and 2 cups cheese. Stir well. Pour into crock pot and sprinkle remaining cheese over top. Cover and cook on low for 3 hours. 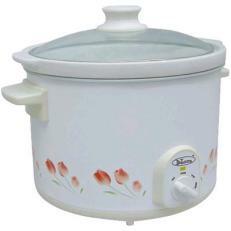 Do not lift lid till ready to serve. This month we recorded 35 members and guests at our August meeting. We had 34 visitors to the History Center throughout the month. The gift shop took in $75.99. Thanks to our History Center Volunteers; Lois Taylor, and Demetria Sapienza for helping get the newsletter into the mail, and to Cheri McNeill for her always thorough proofing of the newsletter. Thanks also to Demetria Sapienza and Sylvia Snook for covering the History Center desk so Rebecca could be off. Darlene and Leslie Bright have also spent a number of days working on the new “Bathing Beauties” exhibit, rearranging and planning for the new shelves that are going in the Library, and DEEP CLEANING and laying down a good layer of insecticide throughout the building. New Members: Welcome to new members Barbara and Don Fox of Carolina Beach. Leslie Bright talked to the Sons of Confederate Veterans: George Davis Camp about Civil War blockade running on Thursday August 16. He will present the program again on Saturday September 8 to the Blockade Runner Chapter of the United Daughters of the Confederacy. Rebecca Taylor and Gayle Keresey will be presenting their “Lost Lights of the Cape Fear” program at the Southport Maritime Museum on Saturday September 15 as part of their day long “Fall into History” program. If you know of groups that are looking for a program Elaine Henson, Leslie Bright and Rebecca Taylor are available to “hit the road” on a variety of local history topics. 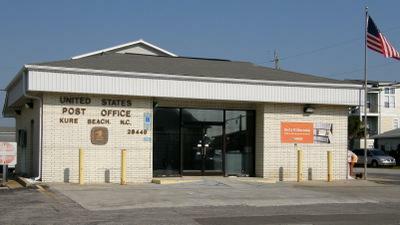 Kure Beach mail was first routed through Wilmington. 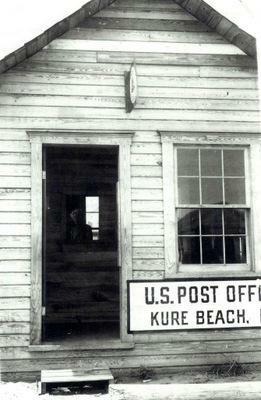 The first Kure Beach Post Office was off K Ave across the street from Clarence Danner’s Fish House. His wife Jessie Danner ran the post office. A three cent stamp was needed to mail a letter. Zip codes had not been invented. After the war, Mitzi Saunders ran the PO. 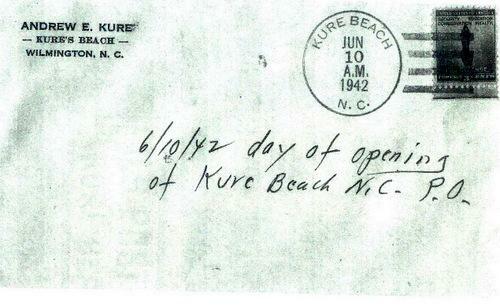 The letter (shown below) is the first one post marked from the Kure Beach Post Office on opening day – June 10, 1942. Faye Teague from the Carolina Beach PO worked relief for the Kure Beach PO for 12 or 13 years. The current Kure Beach PO was originally a Bank of America but people took their business to Carolina Beach because they were afraid the one employee would tell everyone how much money they had in the bank. When the Bank closed, it was replaced with a convenience store. 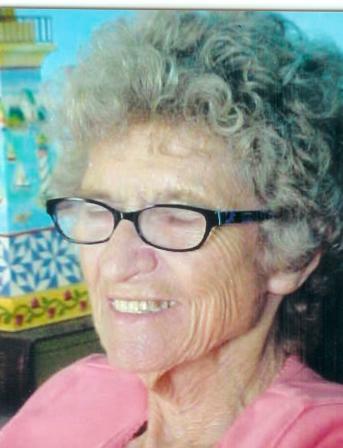 In the early 70s, Faye Teague was appointed Post Master at Kure Beach. Nobody worked for her. There was no delivery service. What was originally a one-person job has grown to 4 or 5 people plus home delivery. It used to be an honored job where you knew the people. Their son Gary was with the post office some 30 years starting in 1973. Gary was the Kure Beach Post Master for about 5 years until 2004.